Added on August 5, 2018 by Miguel Sopena. The several museums in Sofia belonging to the National Gallery of Bulgaria have been reorganised in recent times. Of these, the largest by far is Kvadrat 500, resulting from the combination in 2014 of the former Gallery of Foreign Art (a beautiful Neoclassical building in central Sofia, facing the St Alexander Nevski cathedral) and the adjacent building previously belonging to the Technical University. Kvadrat 500 is a huge museum mainly displaying Bulgarian and European painting and sculpture from the mid-1800s onwards, with a group of older European works. Each of the four levels of the building is in itself the size of a small museum. My friends in Bulgaria tell me that the Kvadrat 500 project was heavily criticised on grounds of cost, but to my mind the collection presented here is consistently of a very high quality and provides a great introduction to Bulgarian art from the last 150 years. It is interesting to note that there are very few purely abstract works here, maybe because, as I understand it, the prevailing official line in Eastern European Communist countries discouraged abstraction. By contrast, every conceivable experiment in figurative painting up to the 1990s seems to be documented here. Besides portraiture and traditional painting genres, Bulgarian painters felt the influence of Impressionism and early Modernists like Paris-based George Papazov (1894-1972) experimented with abstraction. 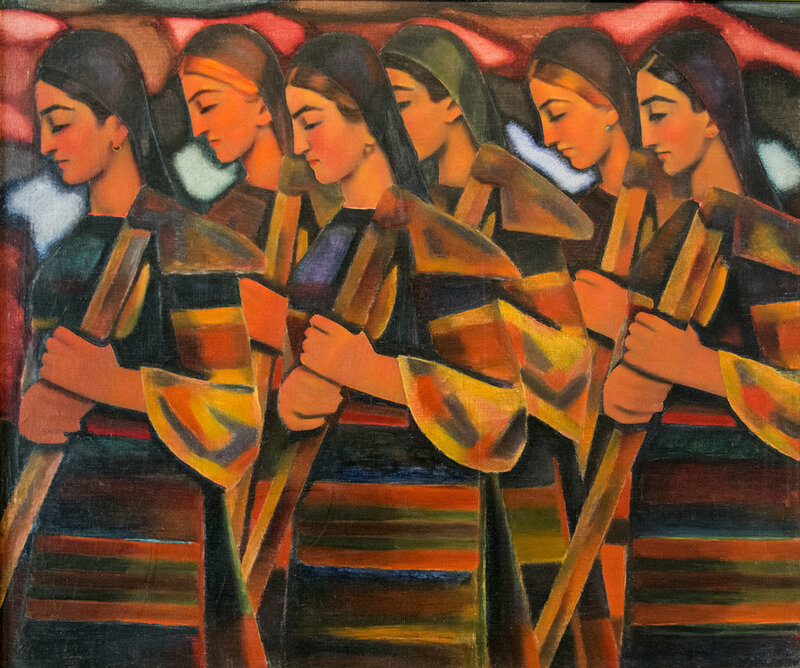 Nationalist painters of the 1920s and 30s like Vladimir Dimitrov 'The Master' (1882-1960) used bold figurative codes with the life of the ordinary Bulgarian people as their subject matter. From then on, in the decades before and after the start of the Communist era in 1944, figurative artists explored every possible avenue and trend. My one criticism of the museum is that not enough guidance is provided to follow the intentions of the artists represented here. The A4-size information sheets (one per room, in Bulgarian and English) are helpful but information could be presented in a more engaging and visitor-friendly way. The visit is generally in chronological order but, often, work from different tendencies or separated by decades is found in the same room. One is left with a huge ensemble of very high-quality works which perhaps have not been made sufficiently accessible. Separately, the museum also houses an extensive (and very interesting) collection of traditional sculpture, arts and crafts from Africa, India, Japan, SE Asia and the Americas acquired in the last decades of the 20th century. A highly recommended visit if you're in Sofia and a great chance to get acquainted with the work of first-rate artists whom you may not encounter anywhere else. Added on August 2, 2018 by Miguel Sopena. World War I was obviously an almighty shock to European countries on every level, social and political. Aftermath: Art in the Wake of World War One tries to make sense of the response of artists to the war and its reverberations into the following decades. With such a broad brief it's perhaps no wonder that the exhibition, moving from Allied and German soldier artists and war memorials to the Bauhaus in just eight rooms, feels a bit unfocused. Still there's plenty of food for thought here and lots of iconic artworks, from CRW Nevinson's 1917 Paths of Glory to George Grosz's and Otto Dix's expressionist depictions of shell-shocked, post-war German society and Oskar Schlemmer's abstracted figures from the 1930s. One of the rooms that impressed me the most was the one devoted to series of prints commenting on the war and its horrific consequences. Great examples here are Otto Dix's 1924 Der Krieg (The War), Max Beckmann's 1919 Die Hölle (Hell), and Käthe Kollwitz's 1922 Krieg (Kollwitz was an first-rate printmaker and an anti-war socialist who lost her youngest son Peter at the front in October 1914). Well worth visiting if you can spare the time. Finishes 23 September. Another one in a series of smashing photography exhibitions at the Barbican. Dorothea Lange (1895-1965) became a successful portrait photographer in San Francisco before the Great Depression of the 1930s turned her attention towards capturing the tough life of the poor and unemployed in the city streets. Starting in 1935, the US Government's Resettlement Administration (later the Farm Security Administration, FSA) ran its well-known photography programme in order to make the American public aware of the plight of rural workers and families affected, not just by the depression, but by the dust storms and drought (the 'Dust Bowl') that blighted many areas of the central US at the time. 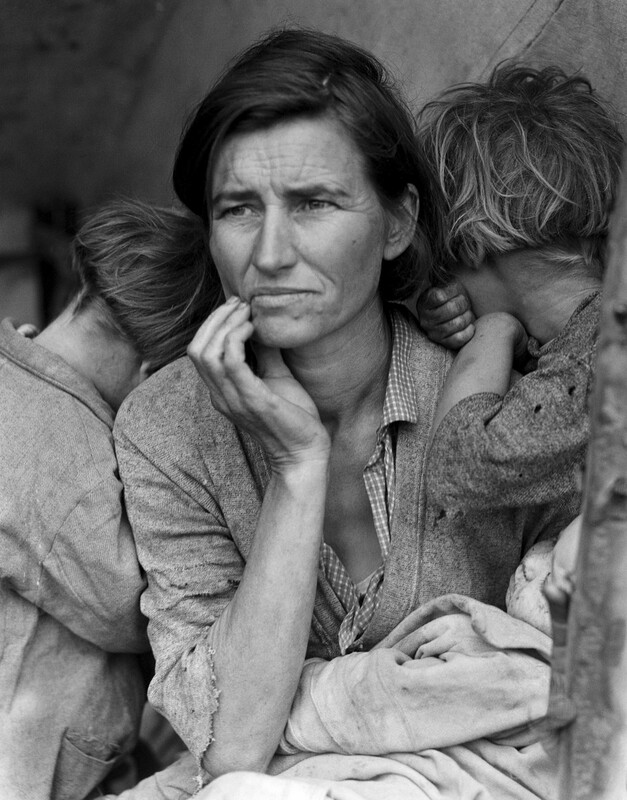 The programme hired photographers of the calibre of Lange and Walker Evans whose work became a landmark in the history of documentary photography in the 20th century. The Barbican exhibition presents this and subsequent aspects of Lange's photography including her work on Japanese Americans interned during World War II and her visit to rural Ireland in 1954. The second part of the exhibition presents the work of contemporary photographer Vanessa Winship (born 1960). Winship's work is compelling and varied but, to my mind, does not quite match the focus and appeal of Lange's. Definite recommend to anyone with any interest at all in photography. Finishes 2 September. Added on July 12, 2018 by Miguel Sopena. Very exciting news- I have accepted into the Tasarim Bakkali artist in residency programme in Istanbul (see also here and here) for the month of August. The programme provides accommodation and studio space, with a solo exhibition in the Kadiköy quarter of Istanbul at the end of the residency period. My plan for the stay is to develop the strand within my practice in which I respond very freely and intuitively to my immediate surroundings (landscapes, cityscapes, the urban environment...) or the ideas and associations waken by those surroundings. This is the case of my Valencia and Dénia series, examples from which can be seen in the Landscapes and Cityscapes section of my website. I am currently doing as much research as possible in order to optimise the use of time once I get to Istanbul. I plan to diarise my experience on my Instagram account and I will post more details about the progress of the project and the final exhibition here. Incredibly excited about this opportunity. Added on July 11, 2018 by Miguel Sopena. I am honoured to have been accepted into the Croydon Art Society in South London. 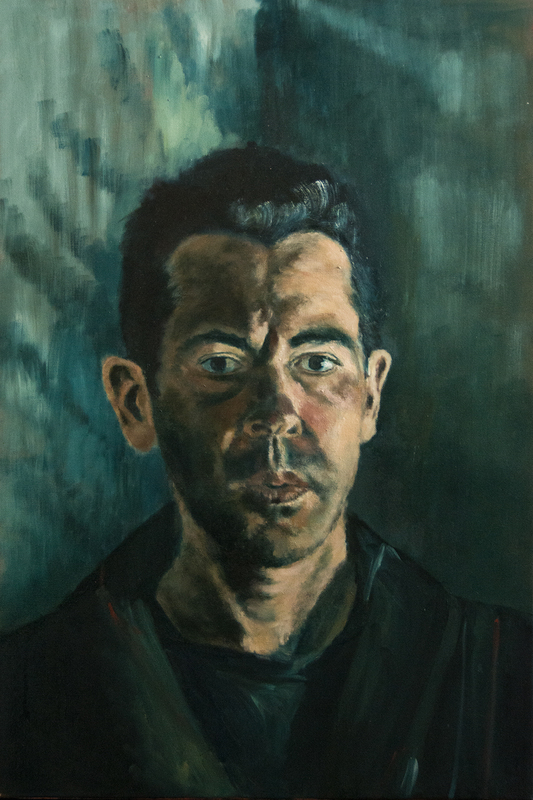 The group is one of the oldest Art Societies in the UK and maintains an active programme of exhibitions throughout the year, with its main annual exhibition taking place in Croydon in the Autumn. Added on July 10, 2018 by Miguel Sopena. Selected pieces from my portfolio are now available for purchase on Saatchi Art, the veteran online art gallery. Registration is free and according to the reviews I have read the site is glitch-free and user-friendly (for both sellers and collectors) and that has been my experience so far. In the event of a sale, pieces are picked up and delivered by courier and clear packaging instructions are provided to the artist. The site hosts an extremely broad variety of work and offers artists the chance to connect with each other. My work is also available for purchase on the equally well-established Degree Art, where I have made a number of sales, and The Hornshaw Gallery. For more info please do not hesitate to contact me. Added on July 9, 2018 by Miguel Sopena. Good news! One of my abstract studies has been selected for the Town Hall Open exhibition 2018 organised by Town Hall Arts in Trowbridge, Wiltshire. Selected works will be exhibited for nearly two months over the Summer, from 21 July to 15 September, at Trowbridge Town Hall (Market Street, Trowbridge, BA14 8EQ, a useful map can be found here ) The official opening will take place on Saturday 21 July 12-2pm and you are all very welcome to attend (pls RSVP if you plan to do so). I created this piece by mixing impasto medium with oil paint and focusing purely on enjoying the play of colour and texture. Whether in figurative or abstract painting I am very attracted to the qualities of paint as a material medium and I look forward to revisiting this way of working in the future. Added on May 18, 2018 by Miguel Sopena. It was great to exhibit work as part of the Dulwich Art Group's yearly exhibition, which was held on the weekend of 12-13 May as part of Dulwich Festival in South London. The PV was held on Saturday evening and was a great success, with the group's life drawing room-turned-exhibition-space absolutely packed with visitors. 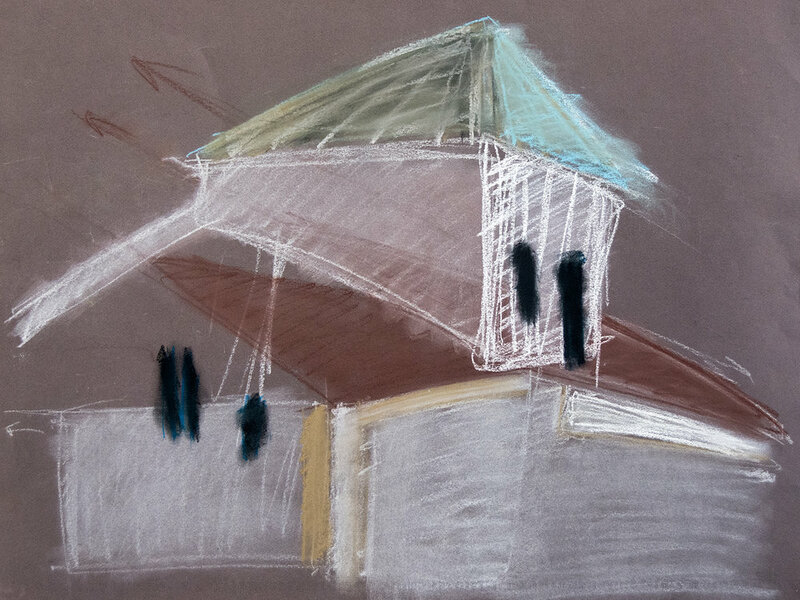 The Dulwich Art Group has a very active programme of life drawing sessions through the week and has been expanding its activities lately, with added drawing sessions as well as figurative painting and drawing courses and workshops. The group's focus is mainly on figurative painting and drawing so that was also the predominant strand of work in the exhibition. About forty artists took part. You can see full details of the group's activity on the group's website. Added on April 23, 2018 by Miguel Sopena. Turf Projects in Croydon, South London, where I have my studio, will be holding an Open Studio day on Saturday 28 April, 11am-5pm. Most of the 20 artists or so based at Turf (including myself) will be opening our doors to anyone interested in seeing our working spaces and recent production. The Open Studio day will take place across Turf's two sites in Croydon, the Arts Store (46-47 Trinity Court, Whitgift Centre, CR0 1UQ, a useful map can be found here) and the Keeley Road site (CR0 1TF, at the back of the Centrale shopping centre, map here). My own studio is located at the Arts Store but both sites are very easy to find and just a short walk away from each other, so you can very easily visit both on the day. Both sites can be easily reached from East Croydon or West Croydon stations. If you plan to attend the Open Studio day and are interested in a specific strand of my work, feel free to let me know so I can prepare my portfolio for viewing- Thanks! Besides the Open Studio, there are a few activities programmed for the day- You can still visit Bryony Gillard's exhibition A cap, like water, fluid and transparent yet with definite body (finishes Sunday) or participate in Turf's monthly open artists' crit at 12pm and/or in a free workshop on the subject of copyright for artists at 2.30pm (the latter two activities are open to everyone but booking is essential). All these will take place at the Arts Store. Hope to see you there and please drop me a message if you have any queries! After really enjoying the Alte (Old) Pinakothek on my first day in Munich, on my second day I headed to the Neue (New) Pinakothek, located a short walk away in the Museum Quarter. The original Neue Pinakothek was created by King Ludwig I of Bavaria in 1853 as one of the first museums in the world meant to exhibit contemporary trends and stimulate a public dialogue about new developments in art. The original building was damaged beyond repair in World War II and later demolished, its replacement opening its doors in 1981 with a structure that makes for a pleasant (if exhausting!) meander through its 22 rooms or so. The present Neue Pinakothek picks up where the Alte Pinakothek left off, roughly in the early 1800s, and (like the Musée d'Orsay in Paris) deals with the period leading up to the arrival of the Modernist avant-gardes in the decades around the year 1900. 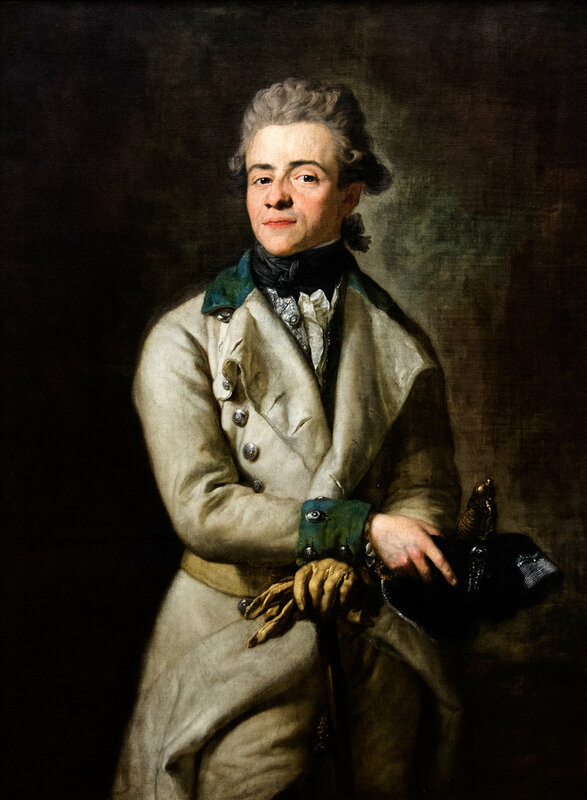 The visit starts off with well-known figures from the early 19th century like Francisco de Goya and Jacques-Louis David, as well as German painters like Anton-Raphael Mengs (1728-1779) and Anton Graff (1736-1813). A room devoted to English painting of the period contains works by Gainsborough, Turner and Sir Thomas Lawrence, among others. Another section highlights the work of the Nazarenes (perhaps the answer to the Pre-Raphaelite Brotherhood in Britain), Romantic painters like Johann Friedrich Overbeck (1789-1869), Wilhelm von Schadow (1789-1862) and Heinrich Maria von Hess (1798-1863) who sought to go back to what they saw as the genuine spirituality of the early Renaissance and adopted a style self-consciously akin to Raphael's. Some of the Nazarenes actually lived a semi-monastic existence in Rome for a time, later on going back to pursuing their own individual styles and interests. After this, the visit touches on the usual genres in 19th century painting as tackled by German artists, from 'heroic landscapes' (uplifting vistas populated by idealised figures) to portraiture as well as historical, mythological and narrative works. Here, the realistic murals of historic locations in Greece painted between 1838 and 1850 by Carl Rottmann (1797-1850) are a focal point. Romantic landscape painters like Caspar David Friedrich (1774-1840) and Johan Christian Dahl (1788-1857) revolutionised the genre with their non-traditional, atmospheric compositions and their focus on Romantic themes like the ruggedness of nature and the inexorable passage of time. A room devoted to French painting of this period included works by Gustave Courbet, Théodore Géricault, Eugène Delacroix, Honoré Daumier and Jean-Baptiste-Camille Corot. Genre pieces from Ludwig I's personal collection (some very striking) emphasise the conventional official taste of the time. An interesting highlight at this point in the visit are the oversized historical and mythological paintings which were traditionally seen as an artist's crowning achievement and which today, given their dimensions, are rarely seen outside their home institutions. The Neue Pinakothek doesn't disappoint in the size stakes, my favourite work here probably being Carl Theodor von Piloty's huge (7 by 5 metres) Thusnelda at the Triumph of Germanicus (1873), based on an episode from the Roman wars in Germania and meant to emphasise Teutonic noble demeanour even in captivity. By the final decades of the 19th century the winds of change were blowing across Europe, and, as clearly documented in the Neue Pinakothek, this thirst for experimentation took many forms. French impressionism was of course very influential, but a new and keen interest in depicting life (human and natural) with increased realism (instead of in a posed and conventional fashion, as was the traditional academic treatment) was also prevalent. The new art was often seen as socially engaged (to the extent of raising alarms in the political establishments of the time) and was often executed in pared down, sober palettes. Many artists experimented with very personal themes and styles, a notable example in the Neue Pinakothek being the dark mythological paintings executed in thick impasto by Hans von Marées (1837-1887). There are also interesting examples here of the work of Max Liebermann (1847-1935), Lovis Corinth (1858-1925), Adolph von Menzel (1815-1905) and the circle of realist painter Wilhelm Leibl (1844-1900). Near the end of the visit to the Neue Pinakothek is the section devoted to French impressionism, not huge but containing impressive pieces like Edgar Degas's 1869 Woman Ironing and his 1895 Henri Rouart and his Son Alexis (Degas is a weakness of mine) as well as Édouard Manet's 1868 Luncheon in the Studio, besides paintings by Claude Monet, Camille Pissarro and Paul Cézanne. Post-impressionist painting is also well represented, including works by, among others, Paul Signac (1863-1935), Maurice Denis (1870-1943) and Henri-Edmond Cross (1856-1910), whereas three beautiful Van Goghs (two landscapes from after his famous confrontation with Gauguin in Arles in 1888, and one of his sunflower paintings) vie for attention with paintings by Gauguin himself and a selection of Auguste Rodin's sculptures. A small Symbolist section includes Fernand Khnopff's touching I close the door upon myself (1891), inspired by a poem by Christina Rossetti, the sister of Pre-Raphaelite painter Dante Gabriel Rossetti. The final segment of the visit deals with the years around and after 1900, with a focus on the art of the avant-gardes. 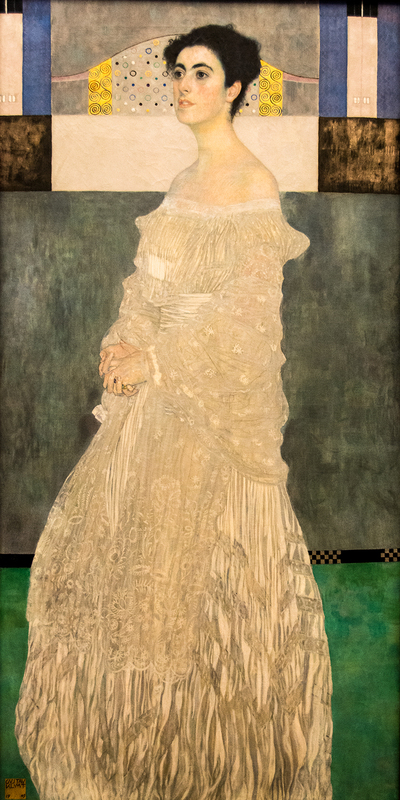 The Viennese Secession is represented by Gustav Klimt's 1905 Portrait of Margaret Stonborough-Wittgenstein and Egon Schiele's 1912 Agony. Interestingly, a few late paintings by Lovis Corinth (earlier work by whom is on display earlier on in the visit) attest to his personal evolution in this time of transformation. Sadly, I arrived at this the last room of the visit almost at closing time and so I wasn't able to study the artworks here in as much detail as I would have wanted. Wear comfortable shoes if you plan to visit this massively substantial museum, and, again, don't forget to ask for the very informative audioguide, included in the ticket price. As in the Alte Pinakothek, the museum cafe is very pleasant (with tables out in the garden in good weather) and perfect for a Kaffee und Kuchen break. Added on April 15, 2018 by Miguel Sopena. I am spending a few days in Munich, Bavaria's capital. My plan here is to visit the city and, in particular, the world-famous art museums located in the Kunstareal or art quarter, North of the city centre. My base for these days is within walking distance of the museums in Schwabing, an area with a rich cultural and intellectual tradition, having been home to two of my all-time idols, 20th-century Bauhaus artists Wassily Kandinsky and Paul Klee. Schwabing is also the location of the impressive Academy of Fine Art -Akademie der Bildenden Künste, with its modern extension next to the original 1886 building- and is next door to the area occupied by Munich's historic university, Ludwig-Maximilians-Universität München. If you find yourselves in the quarter, I recommend you take the time to enjoy the many art deco buildings and villas in the area, or perhaps go for a stroll on the pleasant -and hugely popular on sunny days- Englischer Garten, next to the river Isar. Aiming to proceed in chronological order, the morning after arrival I headed to the Alte Pinakothek, the historic museum created in 1836 to house the Bavarian royal art collection, and nowadays devoted to old master paintings up to the 1700s. The Alte Pinakothek is the brainchild of King Ludwig I, a fanatical collector and patron of the arts whose legacy includes the Alte and Neue Pinakotheken as well as the Glyptothek (built to house the monarchy's collection of classical sculpture) and many other neoclassical buildings in the city centre. Needless to say, Munich suffered heavily under Allied bombing raids in World War II, and the Alte Pinakothek (built originally in severe Italian Renaissance style) was only restored to its former glory and reopened to the public in 1957. As I finally entered the building, I was incredibly disappointed to realise that most of the museum is still closed to the public due to lengthy renovations scheduled to finish later in 2018. Not currently accessible areas include early German, Flemish and Netherlandish painting and the German, Flemish and Italian Renaissance. You can imagine my frustration, the one silver lining being that selected masterpieces from the closed-off sections have been relocated to the rooms still open to the public. As it was, I ended up spending the better part of the day in the Alte Pinakothek and really, really enjoying the visit, perhaps because I was able to concentrate on a comparatively small number of rooms. In terms of all-time masterpieces, Leonardo da Vinci's Madonna and Child with Carnation (one of his earliest paintings) is temporarily located in a side corridor, alongside Raphael's Madonna Tempi and pieces by Fra Angelico and Filippo Lippi. Entry to the collection is currently through the room devoted to Dutch Golden Age painting, including the museum's Rembrandts. Out of these I was immediately touched by his 1661 Resurrected Christ, whose very human expression stares disarmingly at us straight out of the canvas. The Alte Pinakothek is home to the five paintings of Rembrandt's Passion cycle (depicting scenes from Christ's death and resurrection), which at the moment share a wall with Albrecht Dürer's arresting Self-Portrait at the Age of 28, completed on the year 1500. This room also contains beautiful pairs of portraits by Rembrandt's Dutch contemporaries Ferdinand Bol (1616-1680) and Rembrandt's pupil Nicolaes Maes (1634-1693). Next door is the room devoted to the Italian Baroque, which also contains beautiful pieces, including two depictions of Cynic Philosophers by Luca Giordano (1634-1705), painted realistically from live models in the style of Caravaggio and his followers, which Luca probably acquired in Naples from his master Jusepe de Ribera (1591-1652). Equally noteworthy are two tremendous compositions by the Venetian Giovanni Battista Tiepolo (1696-1770), The Adoration of the Magi (1753) and The Holy Trinity seen in a Vision by Pope St Clement (c 1737). 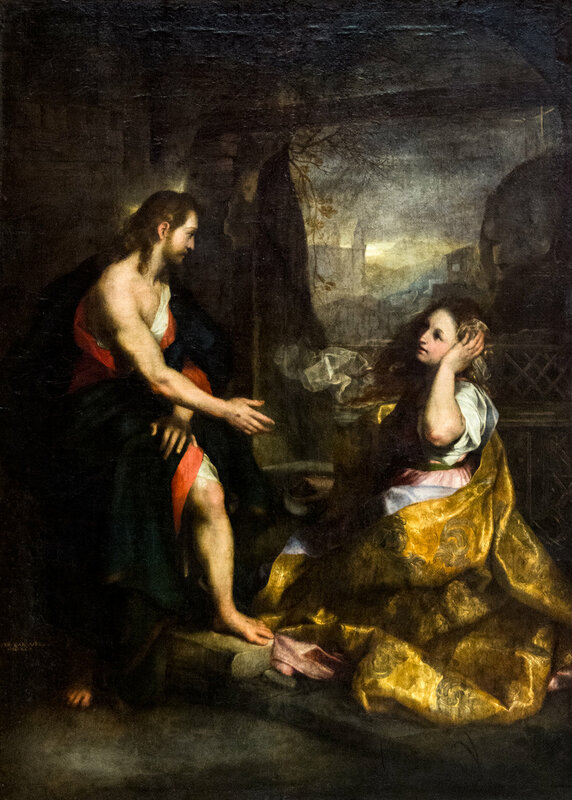 Out of the works in this room I was particularly touched by the searingly beautiful Noli me Tangere (the apparition of the resurrected Christ to Mary Magdalene) painted in 1590 by Federico Barocci (1535-1612). The room nearby devoted to Spanish Old Master painting is equally interesting and includes the unfinished 1631 portrait of a gentleman by Diego Velázquez (1599-1660) which, with its highly polished face and barely sketched hands, offers a tantalising glimpse into Velázquez's working process. 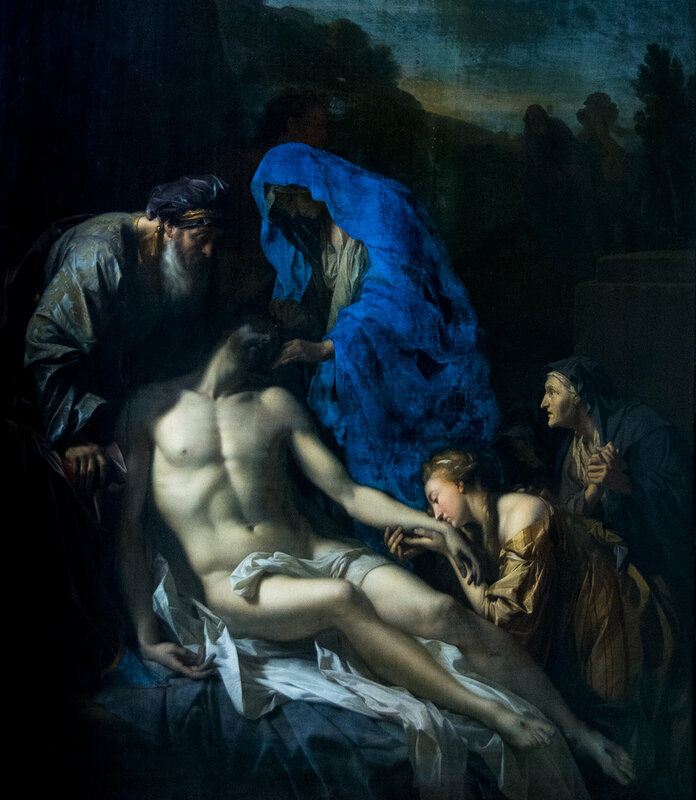 Other highlights include four of the five depictions of Seville street children by Bartolomé Esteban Murillo (1617-1682) in the possession of the Alte Pinakothek, as well as a striking Disrobing of Christ (c 1590?) by El Greco (1541-1614). 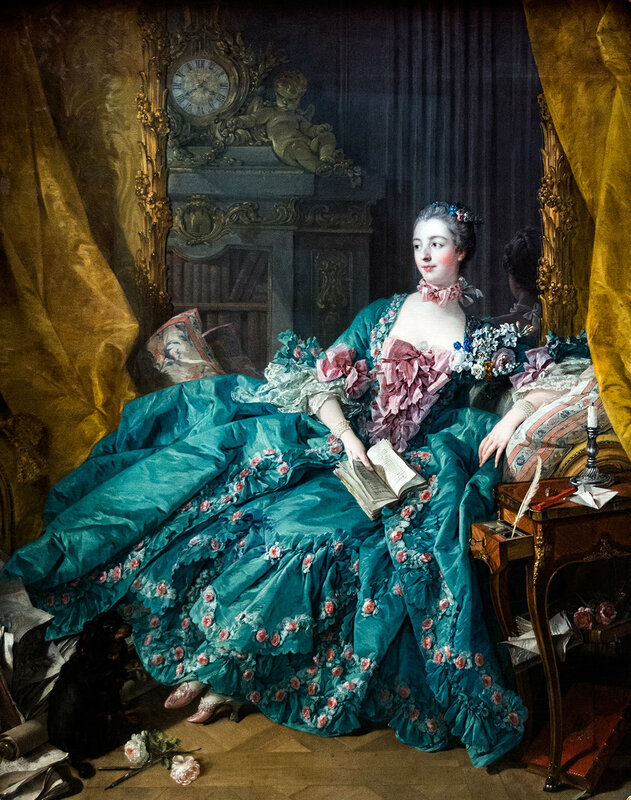 It is relatively unusual even in major institutions to find a section devoted to French painting as large and detailed as that in the Alte Pinakothek, which includes masterpieces by François Boucher (1703-1770) -including his iconic 1756 portrait of Madame de Pompadour, Louis XV's official mistress-, Valentin de Boulogne (1591-1632), Nicolas Poussin (1594-1665) and Claude Lorrain (1600-1682), as well as a fascinating section on pastel portraits from the 1700s by the likes of Maurice Quentin de La Tour (1704-1788) and Jean-Étienne Liotard (1702-1789), the latter having been the subject of a recent exhibition at the Royal Academy of Arts in London. One of the most impressive areas currently open to the public in the Alte Pinakothek is that devoted to Flemish artist (and international star of his time) Peter Paul Rubens (1577-1640). Rubens's oeuvre is displayed across several rooms and presided over by his massive (over 6 metres high) 1617 The Great Last Judgement, the only painting to have hung continuously in the same spot since the creation of the institution (In fact the need to accommodate this work was a constraint on the design of the building). I must admit that, generally speaking, I am not a huge fan of Rubens's over-the-top flamboyant, unabashedly fleshy style, but there are some portraits here which come across as much more direct and sincere and which were a pleasure to gaze at. Last but not least, I really enjoyed ambling through the Alte Pinakothek's side corridors, full of the small-format paintings which almost always, regrettably, play second fiddle to larger artworks. What these works lack in size they often make up for in subtlety and attention to detail, two examples out of many here being Adriaen Van der Werff's stunning 1703 Entombment of Christ and Rembrandt's 1629 self-portrait. I wholeheartedly recommend the Alte Pinakothek to anyone with a passing interest in old master painting, especially after it reopens fully later this Summer. Another strong recommendation is the delightfully old-fashioned cafe with its mouth-watering selection of cakes (After much hesitation I personally opted for the Apfel Kuchen but the other options looked equally appetising). Don't forget to ask for the (very thorough and helpful) audioguide, included in the ticket price but which I missed at first as it was provided at a separate counter. In follow-up pieces I will deal with other art museums in Munich. Added on February 22, 2018 by Miguel Sopena. I was in my home town of Valencia, in Eastern Spain, over the Christmas holidays. Even though I was busy with personal stuff (besides visiting friends and family), and as I always do when I am in the city, I saw as many temporary exhibitions at the main local art institutions as I could (you can see previous reviews of the Valencian art scene on my blog, for instance this one from March of last year). Some of these shows are now in their last weeks and well worth a visit if you find yourselves in the area. Institut Valencià d'Art Modern (IVAM, Valencian Institute for Modern Art), the flagship regional institution, has on its usual array of diverse and interesting offerings. L'Eclosió de l'Abstracció. Línia I Color en la Col.lecció de l'IVAM (The Abstraction Eclosion. Line and Colour in the IVAM Collection, 20/07/2017 - 16/09/2018) presents a selection of artworks from the institution's own holdings in an exploration of the development of a purely abstract language from roughly the mid-20th century onwards. Before the 2008 financial crisis (which badly shook public finances in Spain) IVAM had a pretty active acquisition policy and so this exhibition includes many substantial highlights by Spanish and international artists which, if you come from an English-speaking country, might reach outside your usual references. 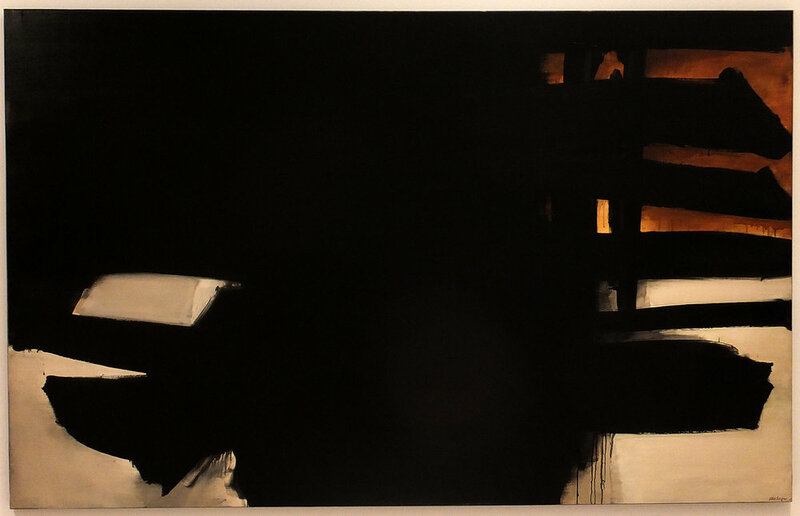 To name but a few, and moving past classics like Adolph Gottlieb (1903-1974) or Karel Appel (1921-2006), I really enjoyed paintings by French painter Pierre Soulages ('the painter of black', b 1919), as well as a spellbinding display of sketchbook-size surrealist works on paper by Dutch CoBrA movement member Lubertus Jacobus Swaanswijk, known as Lucebert (1924-1994), who knew Spain intimately and kept a home and atelier near Xàbia, in the Valencian region. 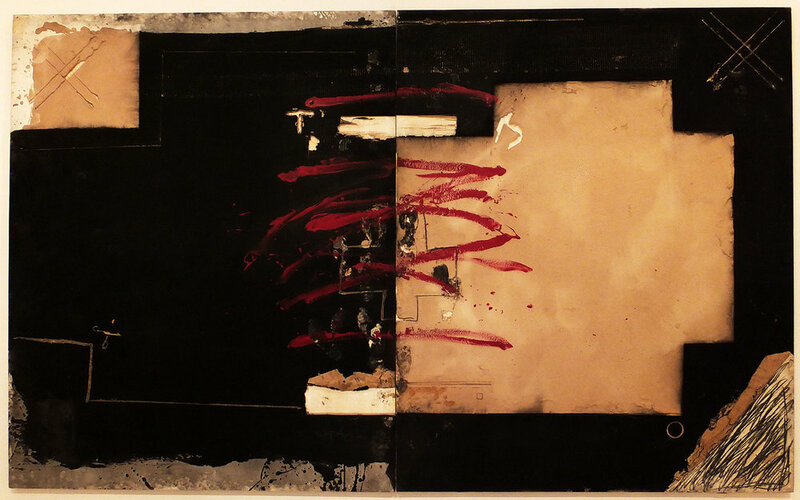 One of the rooms is filled by large-format works by Antoni Tàpies (1923-2012) and Manolo Millares (1926-1972), representatives of the so-called Informalist school who experimented endlessly with textures and incorporated all sorts of non-artistic materials into their paintings. 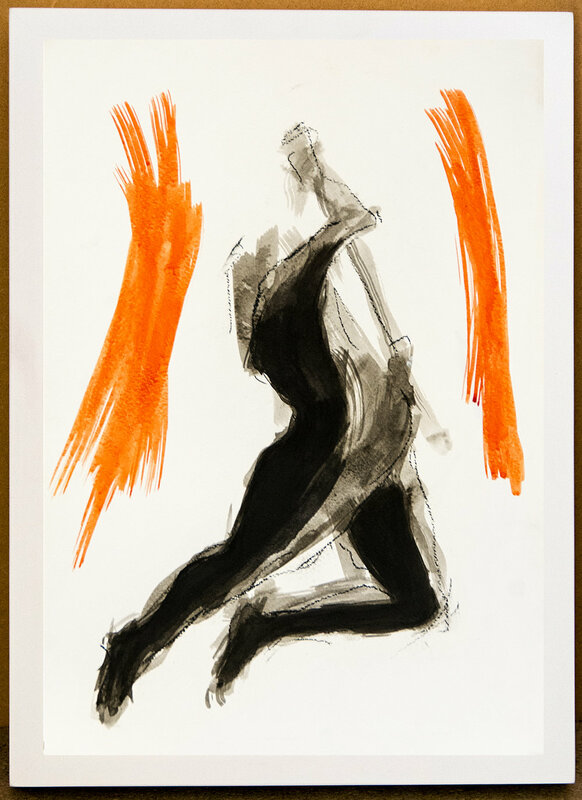 The exhibition touches on other first-rate 20th century Spanish artists like Antonio Saura (1930-1988) and Eusebio Sempere (1923-1985) and moves eclectically through trends such as geometric painting, opt-art and minimalism, ending conclusively with José María Sicilia's (b 1954) huge 12-panel, wax and oil painting The Light That Fades (1996) and James Turrell's hypnotic installation Porterville (2004). A video introducing the exhibition with exhibition curators José Miguel García Cortés and Josep Salvador can be seen here (García Cortés is also IVAM's current director). Another first-rate IVAM offering is Les Constel.lacions de Julio González: Entre la Figuració i l'Abstracció (Julio González's Constellations: Between Figuration and Abstraction, 23/03/2017 – 30/12/2018), which presents IVAM's truly outstanding collection (the largest in the world) of works by Barcelona-born Modernist sculptor Julio González (1876-1942) alongside the work of other artists like Andreu Alfaro (1929-2012) or Miquel Navarro (b 1945). You can watch a video featuring exhibition curator Josep Salvador here. IVAM's current 'case study' -a series of one-room, information-packed exhibitions exploring the work and ideas of a single artist- looks at Ignasi Aballí (b Barcelona, 1958), whose conceptual work refers to cinema and the moving image and explores the ambiguous territory in between telling and withholding, showing and hiding, natural to the medium (09/11/2017 - 04/03/2018, watch the introductory video with the artist here). I particularly enjoyed Aballí's Desapariciones (Vanishings) series of film posters based on the screenplays penned by French novelist, filmmaker and essayist Georges Perec (1936-1982), a big influence of Aballí's. It is up to the visitor to suss out which posters belong to actually realised movies and which are Aballí's interpretations of Perec's ideas. Next door (in the relatively modest exhibition space next to IVAM's library) is a small gem of an offering, Somnis il.lustrats: Grans Il.lustradors per a Lectors Menuts (Illustrated Dreams: Great Illustrators for Small Readers, 14/12/2017 – 11/03/2018), which looks at how the Modernist avant-gardes in the first half of the 20th century tackled the task of creating comics and illustrated publications for young audiences. There are classic examples here such as French painter Edy Legrand's 1924 illustrated story L'Ile Rose, based on playwright Charles Vildrac's description of a fantasy journey to a faraway island, or photographer Laure Albin-Guillot's stunning 1930 photoillustrations for Alain Fournier's 1913 classic novel Le Grand Meaulnes. Radical Soviet artists such as El Lissitzky (1890-1941), Aleksandr Rodchenko (1891-1956) and Varvara Stepanova (1894-1958), and avant-garde figures such as Kurt Schwitters (1887-1948) (and, later, the likes of Andy Warhol and David Hockney) also produced output for young audiences and are represented here. The exhibition also looks at the evolution of children's illustration in Spain in the convulsed decades leading up to the 1931 Second Republic and the 1936-1939 Spanish Civil War (here is an introductory video featuring exhibition curator Irene Bonilla and IVAM sub-director Álvaro de los Ángeles). Last but not least, Please Come Back- El Món com a Presó? (Please Come Back- The World as a Prison?, 28/11/2017 – 08/04/2018) gathers together a variety of responses in all media (from painting to video, conceptual proposals and oral histories) touching on the theme of conformity and the limitation of freedom and privacy in the modern surveillance society, a complex phenomenon which transcends the traditional categories of liberty versus socially dictated imprisonment. An interview (in English) with exhibition curator Hou Hanru is available here. As mentioned, I was a little short on time on this occasion and I had to skip some of the institutions which I regularly visit when I'm in town, but I did drop by the region's main art history museum, Museu de Belles Arts de València (Valencia Museum of Fine Art), which, frustratingly, continues to be partly closed for reorganisation and refurbishment. As always I was very impressed by the institution's stunning collection of works (mainly altarpieces) from the late Middle Ages and the early Renaissance by first-rate regional artists like Joan de Joanes (1507-1579). Another favourite with visitors is the permanent space devoted to the work of internationally renowned Valencian painter Joaquín Sorolla y Bastida (1862-1923), often compared in style and approach to John Singer Sargent. The current temporary exhibition, Intacta Maria- Política I Religiositat a l'Espanya Barroca (Intacta Maria- Politics and Religiosity in Baroque Spain, 30/11/2017 – 08/04/2018, introductory video with curator Pablo González Tornel here) examines the unlikely but astonishingly fierce debate which raged in the country in the 1600s (and which was not officially resolved by the Catholic church until 1854) in relation to the dogma of the immaculate conception of St Mary. From the point of view of the art exhibited this offering, frankly, is not on the same level as previous efforts by this premier institution. Another fixture worth checking out in the city's arts line-up is Fundació Bancaixa, the private foundation now run by the Bankia financial group and which operates a multi-level exhibition space with an active programme of offerings throughout the year. On this occasion, Sorolla- Un Jardí per a Pintar (Sorolla- A Garden to Paint, 07/11/2017-19/03/2018, see the introductory video here) focuses on Sorolla's depictions of gardens and, in particular, the garden he had built (and helped design) at his final family home in Madrid, completed in 1911, at a time when the painter already enjoyed international acclaim. Further offerings at Fundació Bancaixa look at the work of two living Valencian artists, sculptor Vicente Ortí (Vicente Ortí- L'Intèrpret de la Matèria - Vicente Ortí, The Interpreter of Matter, 27/10/2017 – 25/02/2018, watch video featuring curator Martí Domínguez here) and multidisciplinary artist Manolo Valdés (Valdés- Una Visió Personal - Valdés- A Personal Vision, 06/10/2017-25/03/2018, see the introductory video with exhibition curator Kosme de Barañano and the artist himself here). Valdés became well known for his politically charged work with the Valencian team Equipo Crónica in the 1960s and 70s (during general Franco's dictatorship) and now lives between New York City and Madrid, having achieved broad international recognition. The paintings and sculptures in the exhibition (influenced by pop art and employing a dazzling array of textures and materials) bear witness to Valdés's skill, and are well worth a visit, but, in all honesty, they are a tad too commercial for my personal taste. In the current climate of austerity good news for the arts sector are often few and far between, but I am happy to report on the opening (in mid-2017) of a new major arts exhibition centre in Valencia, Bombas Gens Centre d'Art, a former hydraulic pump ('bomba' in Spanish) factory adopted as its main seat by Fundació Per Amor a l'Art, a private foundation devoted to art as well as a number of charitable causes. Once the foundation had gathered a sizeable art collection it decided to look for a suitable space to share it with the public and to kickstart an ongoing exhibition programme. The Bombas Gens building, in art deco industrial style, was built in the 1930s as a series of large rectangular spaces next to an office block and had been abandoned (and half-wrecked by fire) by the time the foundation started rehabilitation works in 2014. During the Civil War the business was taken over by the Republican government and retooled as a munitions factory; As such, it became a target for frequent Fascist bombing air raids from the island of Mallorca and an underground shelter for the protection of the workers was built on the premises. The shelter was uncovered in pristine condition during rehabilitation and has become a big hit with visitors (as, incidentally, have others from that time scattered throughout the city center- If your go for a walk in the Old Town watch out for the word REFUGIO, in large art deco lettering from the period, with arrows pointing to the entrance steps. Please be aware that access details vary- If you are planning a visit find out beforehand what shelters are open to the public and under what conditions). The two current exhibitions greatly benefit from Bombas Gens's inner open plan distribution. Ornament = Delicte? (Ornament = Crime?, 08/07/2017 – 25/02/2018, watch the introductory video with Per Amor a l'Art's artistic director Vicente Todolí and Bombas Gens Centre d'Art director Nuria Enguita here) presents a selection of abstract painting and photography from the foundation's collection. The abstracts (by Spanish and European artists) cover the period from roughly the 1980s to the present day, an era perhaps underrepresented in major exhibitions nowadays but in which the influence of Informalism is apparent. Photography is a major focus of the Per Amor a l'Art collection and I greatly enjoyed work by world-class figures such as André Kertész (1894-1995) and Daidō Moriyama (b 1938). The second temporary exhibition at Bombas Gens, La Blancor de la Balena. Paul Graham (The Whiteness of the Whale. Paul Graham, 01/12/2017 – 27/05/2018, watch an introduction in English with Graham himself here) brings together three separate bodies of street photography in which Graham (b 1956), an Englishman, explores contemporary urban life in the US. Of these, the one that stood out to me was A Shimmer of Possibility (2004-06) in which an ordinary moment in everyday life (often in a marginal setting) is explored with great sensitivity, not by a single photograph, but by a linked sequence of images which combine to tell the whole story. A smaller display in the former office block, Històries de Bombas Gens (Bombas Gens Stories, 08/07/2017-25/02/2018, watch the introductory video with curator Paloma Berrocal here) introduces the history of the building and its connection to the local community through objects, photographs, and testimonials of local residents and former Bombas Gens workers. I hope these suggestions are useful should you find yourselves enjoying the mild winters of the Med (The weather over Christmas was just gorgeous). Should you be planning a trip to the Valencian region for the coming weeks, do not miss the Joan Miró: Ordre I Desordre (Joan Miró: Order and Disorder) exhibition at IVAM which opened on 15 February (ends 17 June) and promises to be an absolute joy (feel free to leave a comment if you happen to see it!). Added on January 8, 2018 by Miguel Sopena. 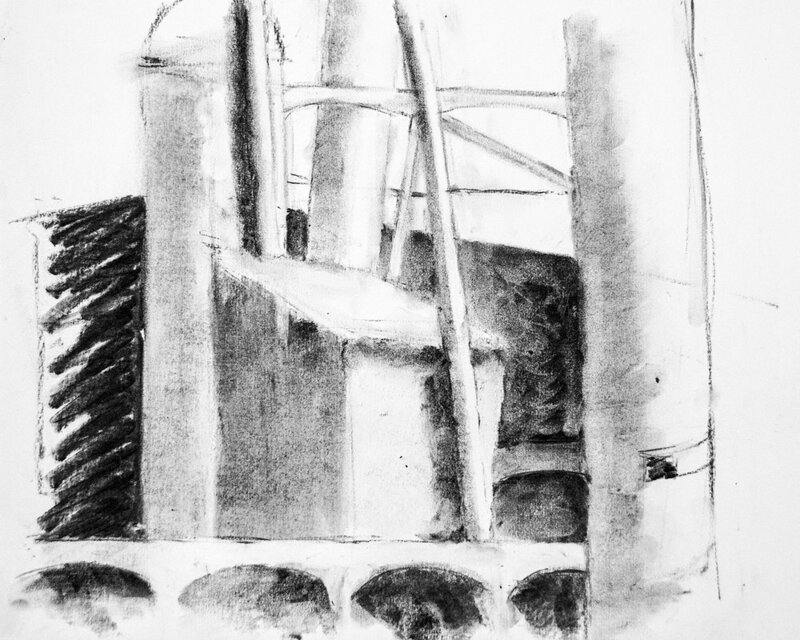 Last month (on 15 December) I participated as an artist in a workshop at Pentonville Prison in London organised by the London Shakespeare Workout (LSW). The workshop was joined by about ten prisoners and roughly the same number of drama students from the Arts Education Schools London. The group rehearsed a reading of a play (based partly on Shakespearean texts) which was performed the following week so there was a tremendous amount of energy in the room. I didn't have a clear idea what I was going to do but ended up sketching non-stop to try and capture that energy and judging from the results I was obviously taken by the power of the spoken word. It was my first-ever visit to a prison and I am hugely grateful for the experience. The London Shakespeare Workout has worked with offenders and ex-offenders all over the world. More details can be found on their website. Added on December 20, 2017 by Miguel Sopena. Drawing on the private collection of writer, designer and left-wing activist David King (1943-2016), Red Star Over Russia (Tate Modern, 08/11/2017 – 18/02/2018) commemorates the centenary of the October 1917 Revolution, which ushered Lenin's Bolsheviks into power in that country and paved the way for the birth of the Soviet Union a few years later. The 1918 events were the culmination of the long struggle between the autocratic Tsarist regime and a variety of movements pushing for political reform. After Tsar Nicholas II (the last Russian Emperor) was forced to abdicate in February of that year (with the Imperial executive replaced by a Provisional Government and the parallel formation of Soviets -councils- of workers' and soldiers' representatives), the October Revolution made the Bolsheviks dominant over their rivals and marked the start of a bloody civil war between the Red Army and the counterrevolutionary Whites. The Union of Soviet Socialists Republics (USSR) was created in 1922, shortly before the final Red Army victory, and Joseph Stalin took Vladimir Lenin's place as supreme leader after the latter's death in 1924. 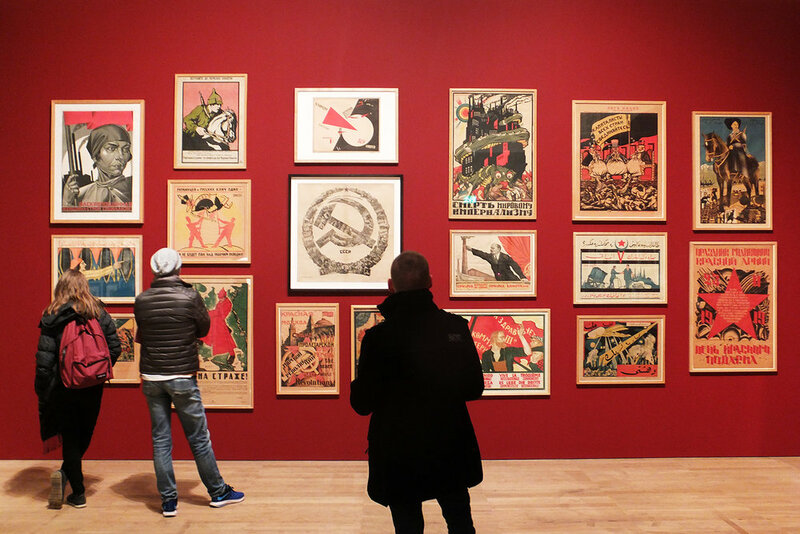 The collection amassed by King over his lifetime includes around 250,000 items of Soviet and communist graphic art and photography, and was purchased by Tate on the year of his death. King collaborated in the design of the exhibition and a video in which he introduces the collection also serves as presentation to the exhibition. 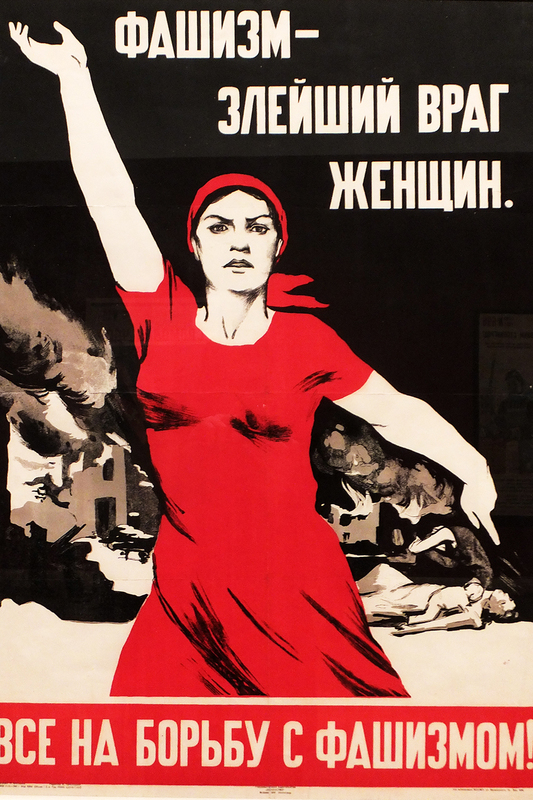 A large part of Red Star Over Russia is devoted to political and propaganda graphic art from the first decades after the Revolution, when the Soviet government made a gigantic effort to communicate revolutionary ideals and goals to the peoples of the USSR and the rest of the world. Posters and printed publications were key to this effort, some in the bread-and-butter, highly readable wartime style favoured by the Bolsheviks to communicate with the Soviet masses, others featuring bold and elaborate avant-gardist proposals by the likes of El Lissitzky (1890-1941), Aleksandr Rodchenko (1891-1956) and Varvara Stepanova (1894-1958). There are many items of interest here, including several issues of the periodical USSR in Construction, edited in many languages between 1930 and 1941 to document and promote the economic and social achievements of the USSR to a worldwide audience. 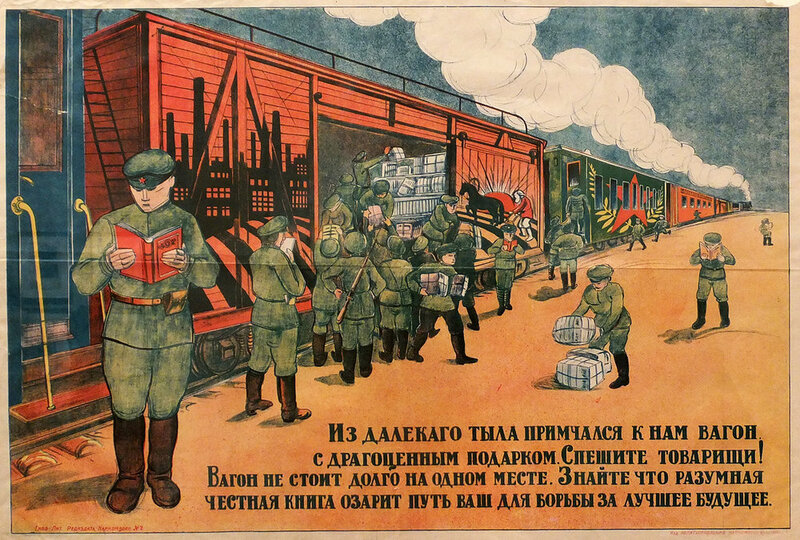 Lithograph, 1919, unknown artist, The Train has Rushed to Us from Far Away with Precious Gifts, a reference to the agitprop -propaganda- trains which crisscrossed the country in the early years of the Revolution in an effort to communicate Bolshevik ideology to the masses. It is perhaps one of the few faults of the exhibition that it does not include more examples of the cutting-edge Modernist designs produced by the likes of Lissitzky, the influence of which is felt to this day (an exception is a dazzling series of figurines for the cubo-futurist 'opera' Victory Over the Sun, first performed in St Petersburg in 1913 by a team led by avant-garde artist Kazimir Malevich). Boldly composed black-and-white photographs by Rodchenko recall the systematic exploration of the possibilities of this art form pursued by Modernist artists throughout Europe at this time. Moving on, the exhibition includes fascinating group photographs in which victims of Stalin's brutal purges of the late 1930s have been crossed out or (literally) cut out of the image, as well as a harrowing display of official photographs of purged Soviet citizens processed through the concentration camp system known as the Gulag. 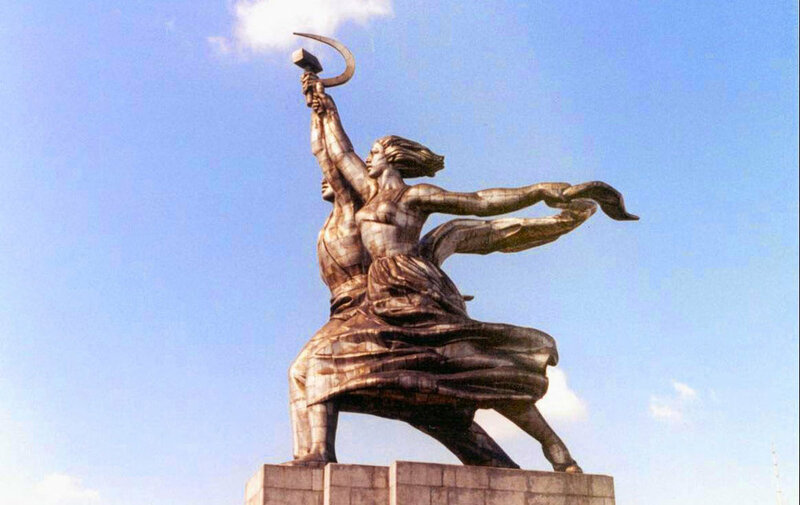 Another section is devoted to the Soviet pavilion in the 1937 Paris International Exhibition of Art and Technology in Modern Life, dominated by Vera Mukhina's 25-metre steel sculpture Worker and Collective Farm Woman (in heroic Socialist Realist style, which had by then been adopted by Stalin as the only permissible official Soviet art style) and which became a huge success with the public. Aleksandr Deineka (1899-1969), Stakhanovites [workers committed to exceptional achievement] (1937), oil on canvas. This painting served as a model for the mural placed at the centre of the Soviet pavilion at the 1937 Paris Exhibition. Red Star Over Russia's last room is mainly devoted to more wartime art and photography, this time from the 1941-1945, life-or-death struggle against Nazi Germany known in Russia as the Great Patriotic War. Some of these posters are probably among the most iconic examples of political art ever produced. Coming as it does from a single individual's private collection, Red Star Over Russia falls perhaps short of a blockbuster, but it provides plenty of food for thought and is well worth a visit over the festive period. Added on November 30, 2017 by Miguel Sopena. Great news! An opportunity came up at short notice to exhibit at Matthews Yard, in Croydon (the area where I live in South London). I am happy to report that my proposal for a solo exhibition was accepted and the result is A Tale of Two Cities, which will run from 1 December 2017 to 31 January 2018 and will bring together drawings and paintings made in response to two locations: My home town of Valencia, in Eastern Spain, and Croydon. Matthews Yard is a multi-purpose cultural hub in central Croydon with a very active arts and events programme (and sadly now under threat of closure- Help out by signing the petition here) and the exhibition will be open within the venue's opening hours (12pm-10pm Tue-Thurs, 12pm-11pm Fri-Sat, 12pm-6pm Sun, closed Mon). I had had the pleasure of exhibiting some figurative work at Matthews Yard once before. The pieces in A Tale of Two Cities belong to the strand of work I create in response to my surroundings (natural or manmade, cityscapes or landscapes or details of the urban environment). For these pieces, the style of execution tends to be loose and instinctual but often a lot of work is involved until I am happy with the end result. These pieces are not straight reproductions of what I see; Rather, they are more in the tradition of capricci or very playful fantasies based on the atmosphere, the look and the light of the original location. It's fantastic to be able to show this work in a coherent exhibition and I am hugely grateful to Matthews Yard for this opportunity. All pieces shown are for sale. Do get in touch if you would like any more info and I hope you will consider visiting. Added on November 19, 2017 by Miguel Sopena. Great news! My painting Koprivshtitsa (Копривщица), which I produced during my recent artists' residency in Sofia, Bulgaria, has found a home with a private collector in the UK. The beautiful, sleepy town of Koprivshtitsa was the birthplace of the 1876 uprising against the Ottoman Empire which eventually led to Bulgaria's independence two years later. We visited the town early on in the residency. Added on November 3, 2017 by Miguel Sopena. Good news! I will be exhibiting three small figurative pieces with other artists from the Dulwich Art Group at the Copper Beech Café in Dulwich, South London (very close to North Dulwich train station). The Private View is tonight (Friday 3 November) 7-9pm and all are welcome to attend. The exhibition will subsequently be open during café hours (please see the website) until the end of November. 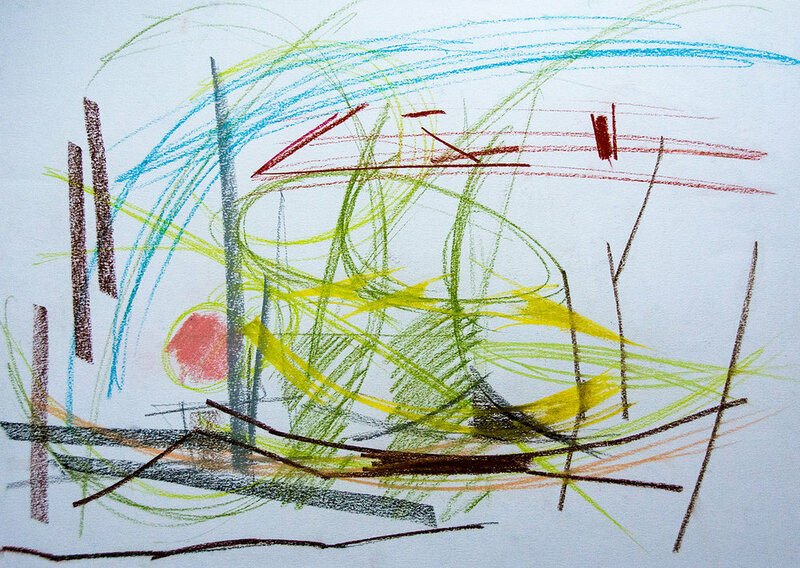 I have attended the Dulwich Art Group's life drawing and painting sessions for over three years now and they are always impeccably run and with an ever-expanding set of activities which now includes drawing and painting courses taught by highly experienced tutors. Please see the website for the full events programme. The Group holds an Open Studio every year but this is the first time I have exhibited with them in an external venue which is very exciting. Artists in the Group have a strong preference for figuration so this is what you are likely to see if you choose to visit. Hope to see you there! Added on October 30, 2017 by Miguel Sopena. Incredibly exciting news! Starting in October, I have rented studio space in Turf Projects's new venue at the Whitgift shopping centre in Croydon, South London. 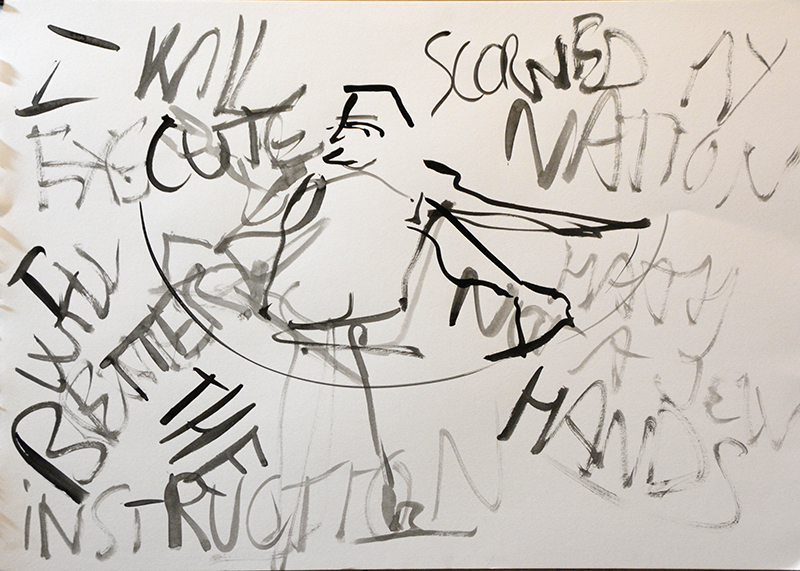 Turf Projects is an artist-run, Croydon-based initiative kickstarted in 2013 and which maintains an ongoing programme of exhibitions, workshops, events and other activities. The Whitgift Centre venue is massive for an arts organisation, with the reception and exhibition space located in the ground floor, two more floors above available for workshops and other activities, and the artists' studios housed in the basement. Ever since I completed my portraiture diploma two years ago I have essentially worked from home, and, even though I literally moved into my studio space at Turf only a few days ago, I already feel incredibly energised by working in a larger and much less cramped space and being a part of a larger creative community. This is helped by Turf's really helpful programme of development activities for artists such as monthly crits and workshops (see the website for more info). A few studio spaces are (I believe) still available. The rents are affordable and access is flexible within the Whitgift Centre's opening hours. More details on Turf's website. Added on September 25, 2017 by Miguel Sopena. I really enjoyed two current exhibitions at Tate Modern which, rather than being sideshows to the blockbuster Giacometti (10/05 – 10/09/2017), cast light on unrelated but equally fascinating facets of 20th century art. 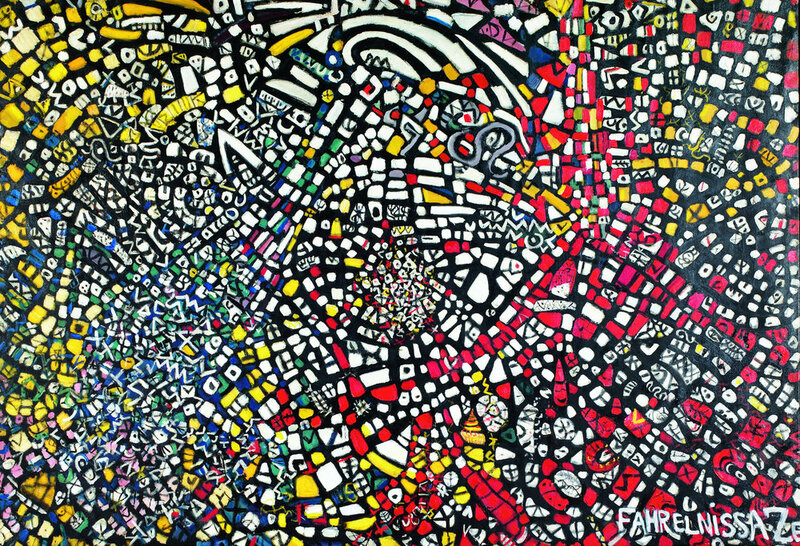 Fahrelnissa Zeid (13/06 – 08/10/2017) presents the work of this Turkish artist, well known within artistic circles in Western Europe at the height of her career but whose achievements faded somewhat into obscurity after her death. The scion of a wealthy and influential Istanbul family, Zeid (1901-1991) grew up at the heart of what was still the Ottoman Empire, a major political power which would only be dismembered after its defeat in the First World War. Zeid's life is the stuff of fiction: Her uncle was Grand Vizier (Imperial Prime Minister) from 1891 to 1895, her father, the Ottoman ambassador to Greece, was apparently murdered by Zeid's brother, and Zeid herself, after divorcing her first husband, married an Iraqi prince (Iraq having split off from the Empire as a separate country after 1918) who became ambassador to Germany in 1935. After the German annexation of Austria in 1938 the couple returned to Baghdad, but the city didn't agree with Zeid and she adopted a cosmopolitan existence, shuttling between Paris, Budapest and Istanbul, where she held her first solo exhibition in her own apartment in 1945. In 1946 Zeid's husband became Iraqi ambassador to the UK and the couple settled in London, where Zeid's career as a painter took off, her openings being attended by many high society members, including the Queen Mother. Zeid lived, worked and exhibited between London and Paris, developing her mature abstract style (using huge canvases) in those years. In 1958 Zeid and her husband narrowly escaped the fate of the Iraqi royal family, assassinated in Baghdad in the course of that year's military coup, and, no longer in a privileged position, moved into a flat in London where Zeid cooked her first meal at the age of 57. Prince Zeid Al-Hussein, Zeid's husband, died in 1970 and Zeid joined her son, Prince Raad, in Amman, Jordan's capital, where she kept working, teaching and mentoring younger artists until her death in 1991. One could be forgiven for suspecting that such a privileged social position may have granted excellent promotion opportunities to Zeid, perhaps out of proportion to the merits of her work, but from the start of the Tate exhibition I found Zeid's output bold, strong and personal and obviously animated by an incessant thirst for experimentation, as well as a huge capacity for work. Judging from the contents of the exhibition, Zeid's early paintings share a strong symbolic and narrative slant, reflective of her surroundings (Zeid made contact with and was influenced by avant-garde circles in Istanbul after her return there in the 1940s). Later work shows Zeid going back and forth between abstraction and figuration, but it was in her London/Paris period in the late 1940s and 1950s that she started producing the huge, colourful abstracts she is perhaps best known for and a few of which are on display at the exhibition. These whirlpool-like pieces are not just vast in dimension but they transmit a tremendous energy and an attention to detail that precludes any feeling of routine or repetition. 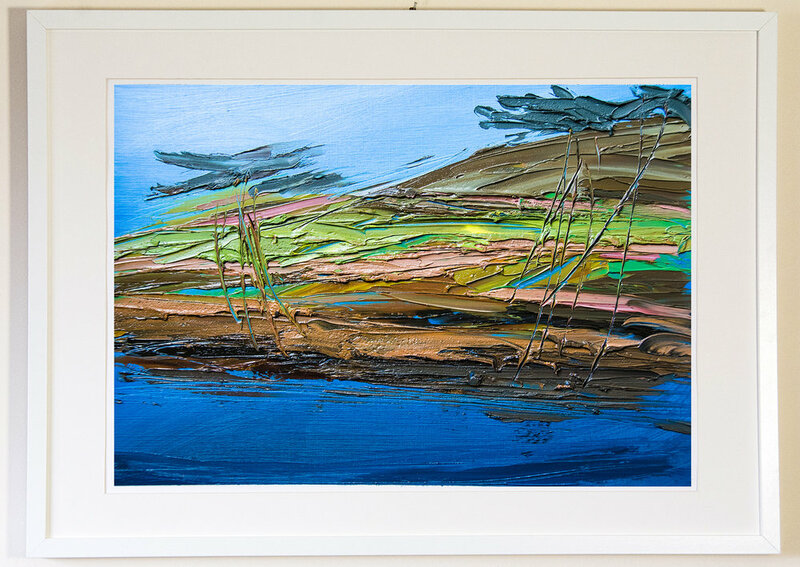 Other highlights from roughly the same period include smaller but equally colourful and intricate abstracts as well as some beautiful works on paper. Large-scale portraits of friends and acquaintances from Zeid's later working period are shown in the last room but, in all honesty, did not resonate with me as strongly as her previous work. All in all, a tremendously energetic and compelling offering, now in its last weeks. Equally arresting is Soul of a Nation: Art in the Age of Black Power (12/07 – 22/10/2017), devoted to the output of Black artists and collectives in the US at the height of the African-American Civil Rights Movement, which reached one of its symbolic peaks with the 1963 March on Washington and Martin Luther King Jr's historic 'I have a dream' speech. 1963 is also the approximate starting point of the Tate show, which, far from limiting itself to 'protest art' or art with a direct political intention, moves through an extremely broad range of trends and proposals within the African-American artistic community in the period leading up to (roughly) the late 1970s. Personally speaking, I felt particularly drawn to the output which was tied and responded to specific historical conditions (rather than strands of work which, if interesting, appear to more or less share the concerns of contemporary non-Black artists). The exploration of the meaning of the African-American identity and experience preoccupied many of these artists, like the members of the Spiral collective whose work kickstarts the exhibition (don't miss Norman Lewis's paintings and Romare Bearden's collages). Next door the graphic art on the pages of the Black Panther newspaper calls for direct revolutionary action and resistance to racist oppression. Further along, Faith Ringgold's 1967 Die alludes in full colour to the violence of riots, which for most people would have been represented (if at all) as monochrome newspaper photographs. Assemblage takes on a political slant with Noah Purifoy's Watts Riot, put together from materials picked up from the street in the aftermath of the 1965 riot of that name in Los Angeles, whilst Melvin Edwards's 1960s Lynch Fragments sculptural series combines industrial materials to comment on anti-Black violence. That virtuoso technique is not incompatible with direct social commentary is proven by pieces such as Charles White's 1972 Mississippi or David Hammons's 1970 Injustice Case. Nor is pure abstraction absent from the exhibition, and if any proof is needed of the capacity of abstract art to convey emotion one need only look at Jack Whitten's extraordinary 1970 triangular painting Homage to Malcolm (meant as a reference to radical Black activist Malcolm X, assassinated in 1965). I found the section devoted to photography extremely interesting, this artform obviously being a key means of conveying the reality of Black life and Black struggle and Black photographers (like Black artists) often suffering from a scarcity of outlets to present their work. One of these pioneering Black photographers, Roy DeCarava, was also the first director of the Kamoinge Workshop, a collective founded in 1963 whose members were also involved in the creation of The Black Photographers Annual in 1973. From that point onwards the exhibition veers away from art linked in one way or another to societal conditions and, to my mind, somehow becomes less compelling, in spite of the work of artists such as Betye Saar (with her elaborate assemblages) or portraitist Barkley Hendricks. Abstract expressionist codes and the use of material deconstruction (strands of work widely pursued at the time by American artists of all backgrounds) are represented here, and the exhibition's last room refers again to the continuing difficulties Black artists experienced to show their work by showcasing the activity of the Just Above Midtown (JAM) Gallery in New York City, created by Linda Goode Bryant in 1974 as a platform for African-American art. Again a tremendously compelling (and timely!) offering. Only a few weeks now left to catch these shows if you can.